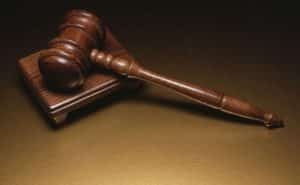 EHR Intelligence reports on a whopping sixty-two Indiana hospitals being sued in a federal civil lawsuit for allegedly falsifying records and participating in a kickback scheme, primarily by overbilling for the release of patient Electronic Health Records. Michael Misch and Bradley Colborn, attorneys for South Bend law firm Anderson, Agostino & Keller, brought the suit in Sept. 2016 on behalf of the United States and state of Indiana after experiencing difficulties in obtaining electronic medical records from local hospitals in their work on personal injury and medical malpractice cases. Misch and Colborn contend that the hospitals violated provisions of the American Recovery and Reinvestment Act of 2009, which created grant programs to encourage hospitals to implement new electronic health record systems. To receive the grants, hospitals had to produce and release information that showed the number of medical records requests annually, and whether the records were turned over to those requesting them within three business days. Failing to achieve at least 50 percent of their requests within that time frame would make a hospital ineligible to receive funding. Misch and Colborn began tracking the instances where they received electronic records from four hospitals, including Memorial Hospital and both St. Joseph Regional Medical Center locations, beginning in 2013. The lawyers logged the number of times they received records after the required three business day period, and compared those numbers to the hospitals’ public disclosures. The lawsuit says the pair found that in 2013, Memorial Hospital reported 16 requests for electronic medical records and claimed it provided all 16 within the required three business day period. The lawyers allege that on five occasions between April and Dec. 2013, they received records in an electronic format only once and none of the records were issued within three business days, contradicting what the hospital reported. The pair claim to have found similar discrepancies with the other three hospitals. So how does this relate to revenue cycle? Well, it’s about controlling processes. A good RCM operation will ensure tactical and strategic functions are done with a consistent methodology which runs at a low cost. When paper still exists in an operation, one must have outstanding controls and processes to ensure data is extracted accurately and within the desired processing windows. That’s where OrboAccess running on HPAC on the cloud comes into play. By utilizing intelligent payment automation technologies with comprehensive process and quality controls, processing of EOBs, EOPs, and correspondence letters is completed in a timely manner, consistently, at higher quality, and at cost levels near that of native EDI transactions.